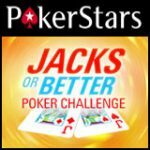 Holdem Manager 2 now supports PokerStars Zoom Poker, track your opponents and analyze their stats and tendencies while playing the fastest online poker game. In Zoom Poker you are playing against a large pool of players which can make it quiet difficult to keep track of every player. Use the HM2 Zoom Poker HUD, advanced filters and detailed reports to keep ahead of the competition. 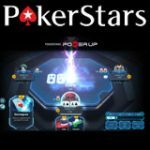 Holdem Manager 2 also supports the following online poker sites PokerStars, PartyPoker, 888Poker, Titan Poker and Cake Poker. With HM2, players can analyze their opponents with the poker tracking software which keeps track of real time stats which are displayed on the table you are playing on. Players can analyze and fix any leaks in their poker game, study all your play and history against opponents in detailed reports and graphs. The software allows you to import all your hand histories from your favorite poker rooms and displays the information in detailed graphs and reports. The HM2 Poker HUD attaches itself to your table and gives you detailed information of the players at the table. Zoom Poker has been released and is available to play in the PokerStars lobby, play the new fast paced cash games similar to that of Full Tilt Poker Rush Poker where players can instant fold and be dealt a new hand at a new table with different opponents. Zoom Poker is still in beta mode and is only available at lower stakes, players can also test it out in fun money mode. 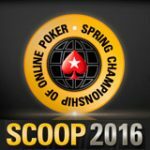 Read more about PokerStars Zoom Poker. 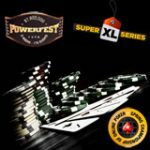 HM2 poker tracking software, keeps track of your poker hands and every opponent you face, view detailed graphs and reports of your cash games, tournaments and zoom poker games. The Poker HUD can be used to get real time statistics and information and can be used at several online poker rooms. 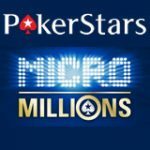 Tournaments and Cash games reports, graphs and stats. Import hand histories to analyze hands. Poker HUD works with most online poker rooms. 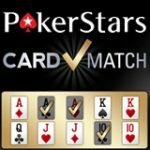 Replay all your past poker hands with visible hole cards. 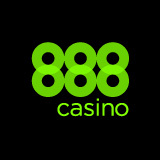 Supports most online poker sites including PokerStars, PartyPoker, 888Poker, Titan Poker and Cake Poker. 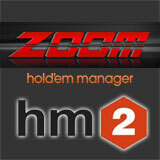 Download HM2 free - 30 day trial version or get the holdem manager 2 free version. See our poker tools page for more poker tracker and Poker HUD software.